Assemblato Filtro, Carburante originale cod. 124790-55601 (sostituisce il cod. 121370-55601). 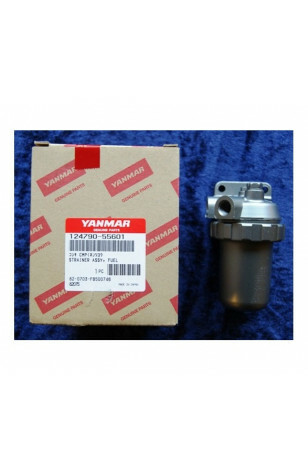 Motori Yanmar 1GM; 2GM(F); 3GM(F); 3GMD; 3HM; 3HMF; 1GM10; 1GM10VE; 1GM10-B; 1GM10C; 1GM10L; 2GM20; 2GM20VE; 2GM20B; 2GM20C; 2GM20F; 2GM20FVE; 2GM20-YEU; 2GM20C-YEU; 2GM20F-YEU; 2GM20FC-YEU; 3GM30; 3GM30VE; 3GM30B; 3GM30C; 3GM30F; 3GM30FVE; 3GM30-YEU; 3GM30C-YEU; 3GM30F-YEU; 3GM30FC-YEU. 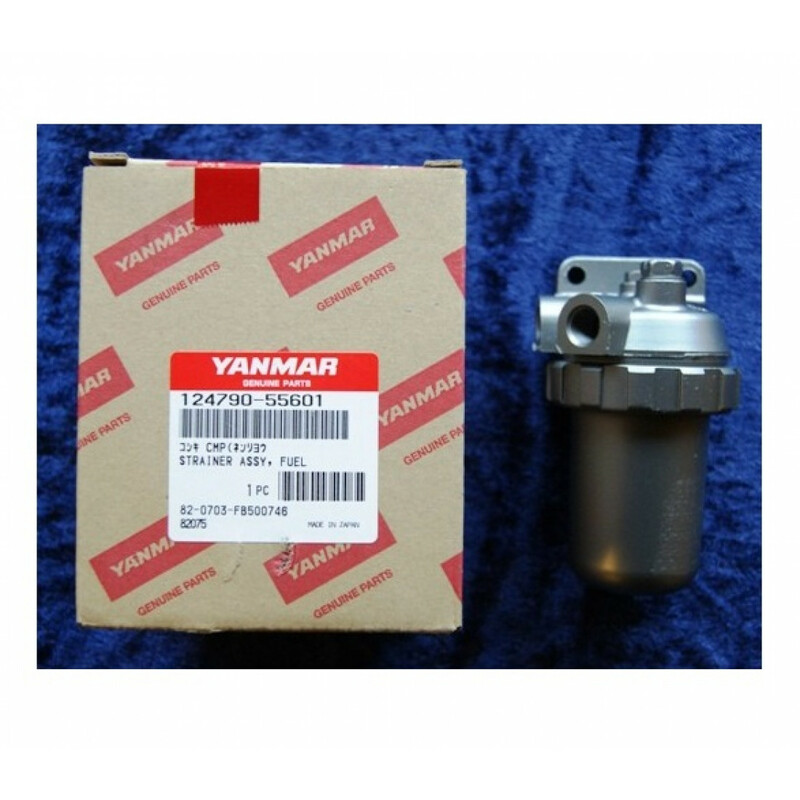 Adatto per motori Yanmar 1GM; 2GM(F); 3GM(F); 3GMD; 3HM; 3HMF; 1GM10; 1GM10VE; 1GM10-B; 1GM10C; 1GM10L; 2GM20; 2GM20VE; 2GM20B; 2GM20C; 2GM20F; 2GM20FVE; 2GM20-YEU; 2GM20C-YEU; 2GM20F-YEU; 2GM20FC-YEU; 3GM30; 3GM30VE; 3GM30B; 3GM30C; 3GM30F; 3GM30FVE; 3GM30-YEU; 3GM30C-YEU; 3GM30F-YEU; 3GM30FC-YEU.